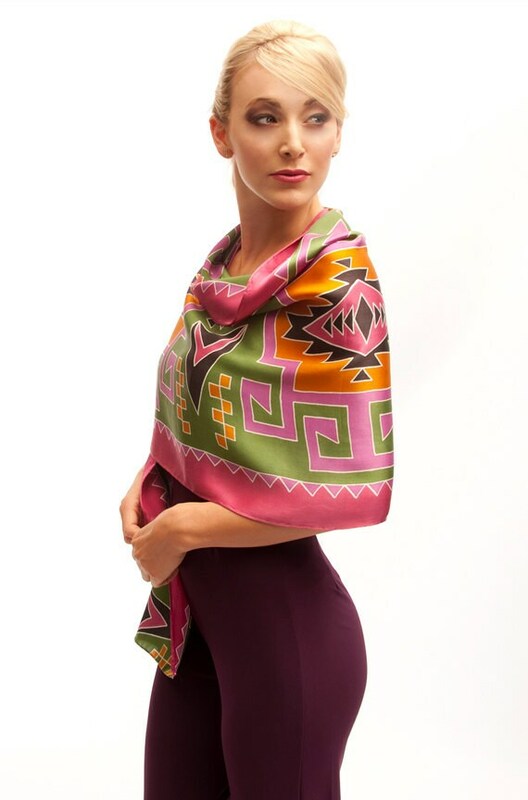 Wrap yourself in this colorful tribal pattern batik hand painted silk scarf. Inspired by Native American textiles. Beautifully painted in pink, orange, green and Black. This is a one of a kind scarf designed and created by the artist. It's painted on 100% charmeuse silk.